The law requires that we track employee time to ensure that employees are properly being compensated. Tracking the time spent by each employee can sometimes being time consuming and difficult. BBS provides different processes and systems for you to track the time for each your employees and also to track time spent on different tasks or for different clients. For most businesses time spent is also money spent. Appropriately tracking time can be both difficult and complex for some types of business but with BBS, it can be to implement and simple to manage. Accurately tracking time can save a company substantial in its employee costs and doing it well is critical for most companies. Every employee from creative writers to multi-national manufacturers needs some type of time tracking system, ranging from paper and spreadsheets to sophisticated ERP systems. For companies that bill clients by the hour, lost time entries means lost money. You can rely on BBS to solve all your unique time tracking requirements. 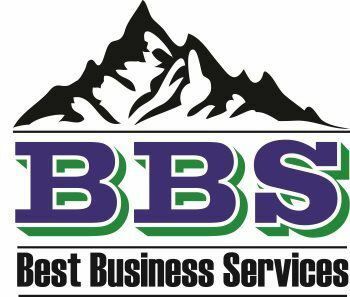 BBS provides information and systems that give managers and supervisors access to the daily administrative functions for each of their employees, like editing hours, adding or editing employees, and generating labor reports related to the productivity and performance of each worker. Supervisors and managers have access to HR labor tools such as scheduling, shift differentials, job costing, accrual tracking, job assignments, location tracking and other labor information. Supervisors can view what time each employee checked in to begin work, what job code they’re currently clocked into, what time they had lunch, when they checked out, and more. All supervisors can have the information they need customized for their particular situation and delivered to them on their computer or mobile device. Managers can have frontline workforce information delivered automatically via email, as a file, or in hard copy print or to their mobile phone in the format that is most useful for them. Print hard copy labor information and customized reports automatically. With easy tools to use, supervisors have a virtual workforce dashboard, shown in real-time to manage costly labor productivity. Using our time management systems, employee hours can also be transferred to most payroll packages using our payroll interface.